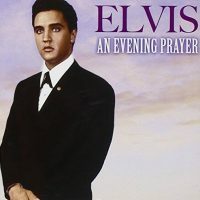 Elvis Presley wears another crown besides the King of Rock N Roll–he also is the King of Collectibility. Nearly a quarter century after his death, items bearing Elviss name and likeness are in hot demand. In this comprehensive book, renowned Elvis expert Sean ONeal chronicles the Elvis phenomenon in more than 600 color photographs. 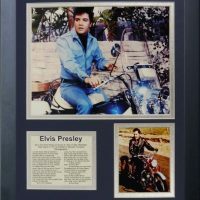 Commercially produced memorabilia, novelties, magazines, promotional pieces, and movie paraphernalia recount Elviss life and career. 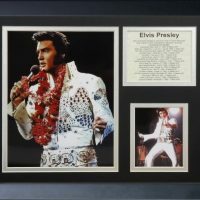 Items range from concert posters, to paint by number sets, to the Presley family bible. Every item is presented with its current market price. A special section provides tips on how to avoid counterfeit memorabilia and forged autographs. Also included is a history of Elvis Presley Enterprises, the original creator of Elvis merchandise. This fascinating reference book is the definitive guide to collecting Elvis. 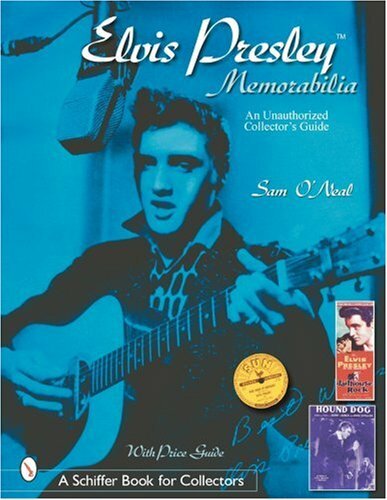 Be the first to review “Elvis Presley Memorabilia: An Unauthorized Collectors Guide (Schiffer Book for Collectors)” Click here to cancel reply.